The Free West Papua Campaign would like to wish everyone a very Merry Christmas and a Happy New Year! It’s been an incredible year for West Papua with so much momentum and support increasing from around the world despite an increasingly more brutal crack down on West Papuan people by the Indonesian government, military and police. 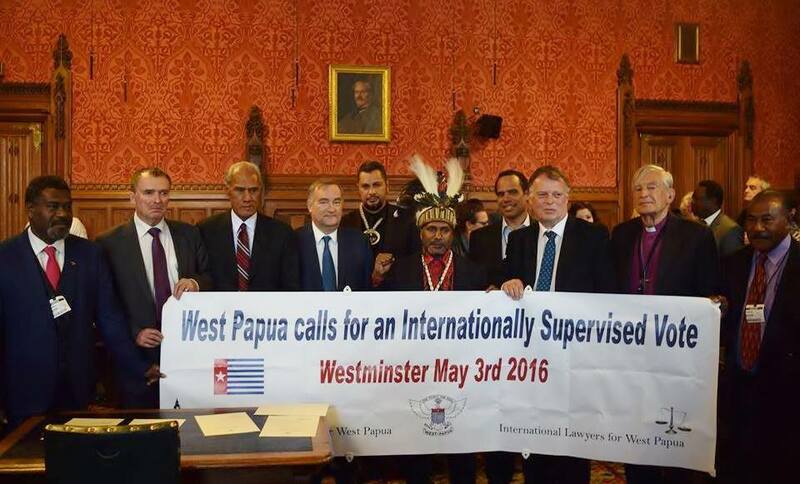 With a huge build up, one of the most significant dates in the history of the Campaign was made on 3rd May when International Parliamentarians including world leaders came and gave their support for the incredible Westminster Declaration for an Internationally Supervised Vote in West Papua. This occasion marked a major turning point in diplomacy for West Papua and initiated a time of worldwide concerted effort focusing on supporting West Papuan self-determination at an international government level. Supporters of the meeting included the Prime Ministers of Tonga, Solomon Islands and Guyana, as well as the Foreign Minister of Vanuatu and the British Opposition Leader. However, the strong support of West Papuan people for such international meetings has also led to mass arrests by the Indonesian government. Over 1000 people were arrested just for peacefully demonstrating to support this meeting and throughout the year over 5000 people have been unlawfully arrested just for peacefully demonstrating for West Papua, that’s more than 10 people a day. Not only this but there have also been many West Papuans who have been brutally tortured and killed by the Indonesian authorities, simply for expressing their desires to be free. But no matter how many people the Indonesian government arrests, they cannot close the world’s eyes and hide the the reality of what is really happening in occupied West Papua. 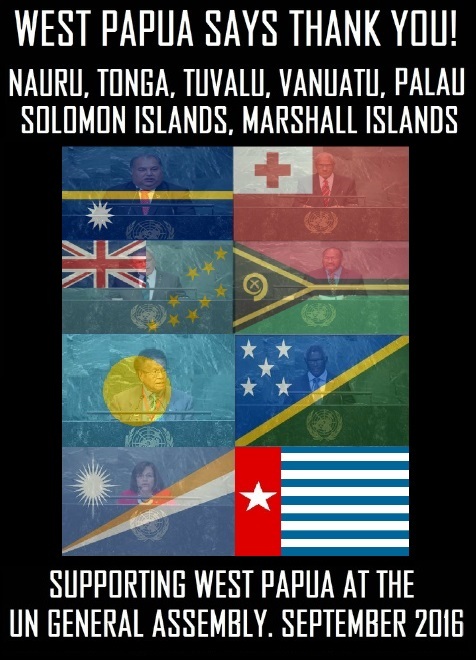 At the United Nations General Assembly in September, 7 Pacific nations stood up at the podium and showed their strong support for their fellow Pacific Islanders in West Papua. For over 40 years, there have been only 1 or 2 countries supporting West Papua but now in the space of just 1 year there are 7! Never before has there been so much international backing for the people of West Papua and their fundamental right to self-determination. This historic event was organised by the newly formed Pacific Coalition for West Papua (PCWP). Also, in October 2016, over 80 bands in 5 different countries performed in the Global Peace Concert, Rockin’ for West Papua! 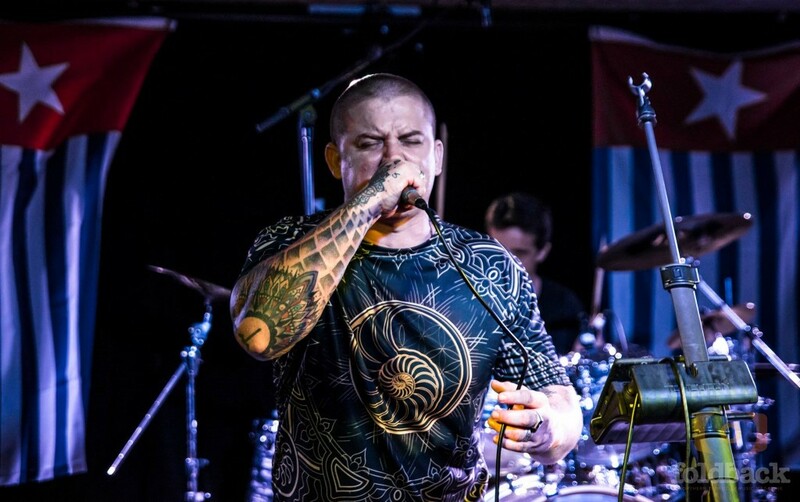 These groundbreaking performances raised massive support and awareness for West Papua and helped the world to learn that #MUSICISAWEAPON and that it can be used more powerfully than any gun to fight for West Papua’s freedom. Then on 1st December, after the Global Peace Concert came the Global Flag Raising and the world had Morning Stars in its’ eyes as the West Papuan flag was raised over 200 times in over 30 countries around the world! On 1st December the people of West Papua commemorated their National Day, remembering 1st December 1961 when the West Papuan flag was first raised with the promise of Independence in exactly 9 years time. In West Papua this year, people took to the streets to call for freedom and were in many cases arrested and brutally arrested, including alongside Indonesian solidarity activists.To show international solidarity for West Papua’s freedom, the West Papuan flag is raised around the world in solidarity and support for the West Papuan people who do not have the freedom to raise their own national flag in their own country. We also held a flag raising competition where the winners of the best/most dramatic flag raising would receive a Free West Papua T-Shirt and special gift package. We are happy to say that we have chosen the winners and will be announcing them very soon! And just this week the key sub-regional Melanesian Spearhead Group (MSG) met again in Port Vila, Vanuatu and discussed the full membership of The United Liberation Movement for West Papua (ULMWP). 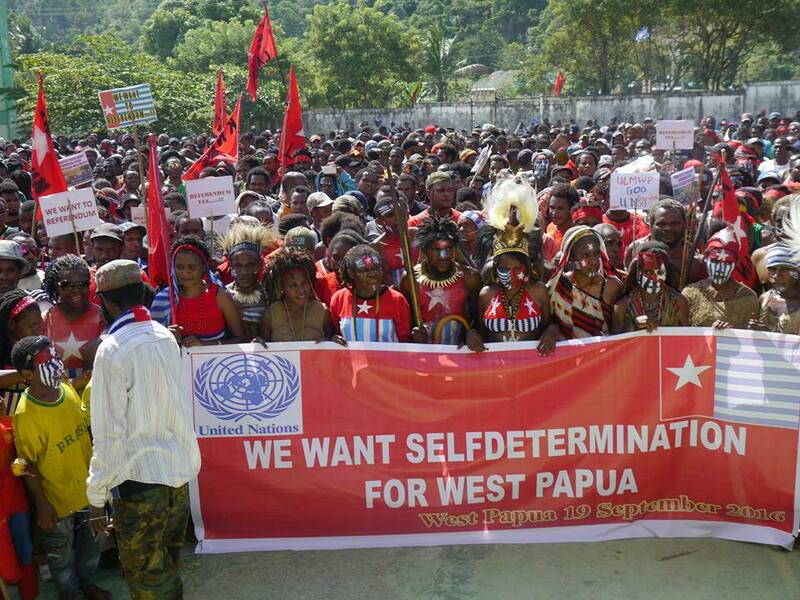 Through mass mobilisations of support across Melanesia there is now an unstoppable momentum of support for ULMWP’s full membership despite international bullying attempts by the Indonesian government. Melanesian solidarity cannot be broken! The meeting discussed and recorded West Papua’s position and will present its’ findings to the MSG Leaders meeting in January where it is expected the final decision to at last take place. During the meeting, Vanuatu, Solomon Islands and Kanaky/New Caledonia all confirmed their support for ULMWP’s full membership as an integral part of the Melanesian family and ULMWP representatives met personally with the Prime Minister of Vanuatu Hon. Charlot Salwai. There’s just so many wonderful people, from Prime Minister to protesters, from those who’ve raised flags to those who’ve raised the attention of parliaments, we would like to thank EVERYONE for all your incredible support. Below is a special Christmas and New Year message by the Nobel Peace Prize Nominated West Papuan Independence Leader Benny Wenda , thanking and encouraging everyone for their continued support for West Papua. “I would like to also wish everyone a very Merry Christmas and a Happy New Year. We are looking forward to 2017 as being a very good year in making new history towards West Papua’s Independence. It is time for us to end the suffering in West Papua with a united voice through an Internationally Supervised Vote on West Papuan Self-Determination. This is the key for 2017. So I send this message to the people of West Papua and people all around the world to unify with One Voice in the struggle for West Papua’s freedom. We look forward to working with you all towards making new history and new successes in the long road to West Papua’s Independence. We must focus on ending the suffering through an Internationally Supervised Vote on Self-Determination. Last year you all contributed so much through your international support. It means everything to my people to see all your love and solidarity with us through all your incredible actions. Continuing to lobby international governments worldwide to bring West Papua to the UN, and to build on our grass roots support globally. Continuing to work with our International Parliamentarians for West Papua, and International Lawyers for West Papua groups.You can help to support us in these key priorities by finding out how to Take Action here and supporting our monthly donor appeal here. So all that remains is to once again wish you all Merry Christmas and a Happy New Year!